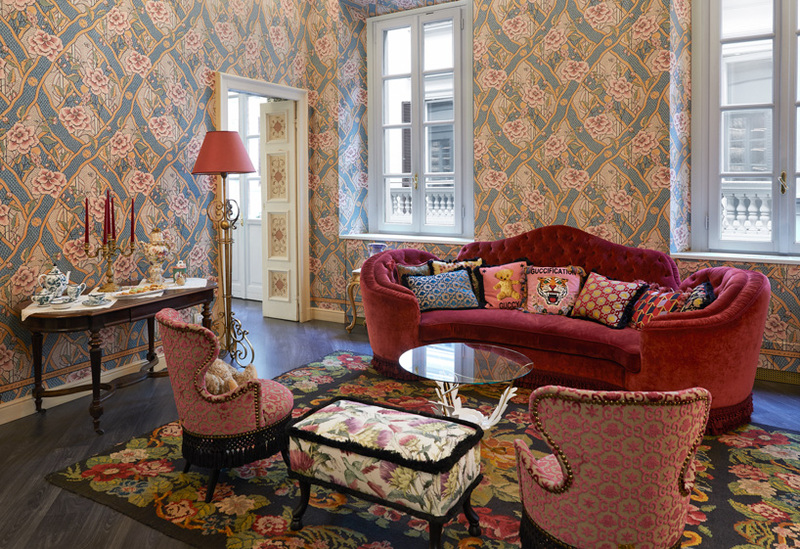 imagined by creative director alessandro michele as an apartment that has been ‘guccy-fied’, it’s no surprise that the entire space is decorated head-to-toe in the brand’s signature patterns and prints. 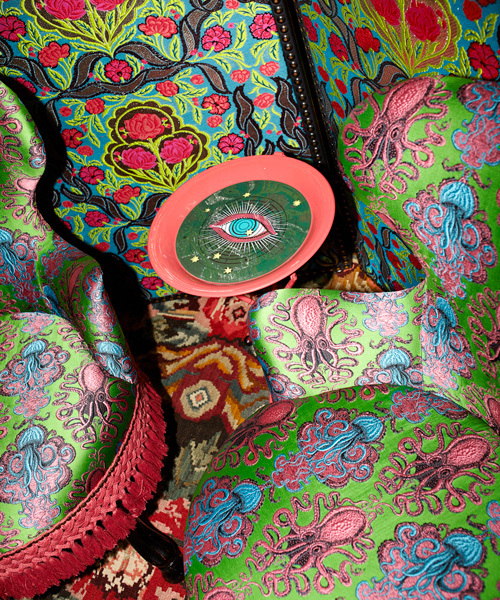 gucci décor applies its unique maximalist aesthetic to everything from candles and chairs, plates to wallpaper, and cushions. other items include incense trays, screens, and metal folding tables. 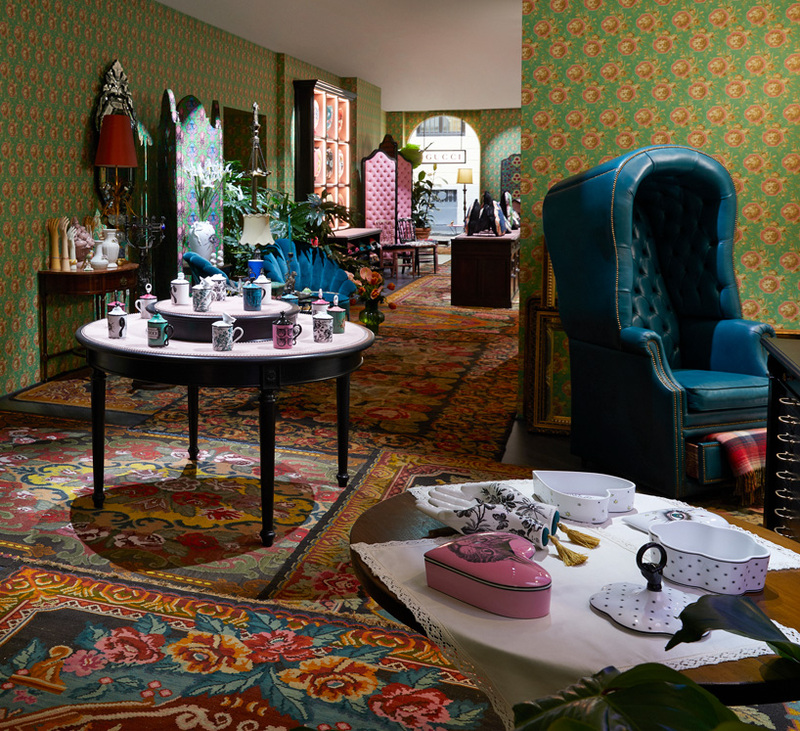 the gucci décor collection was introduced in 2017 as a commitment to craft and the arisanal skill associated with italian makers. 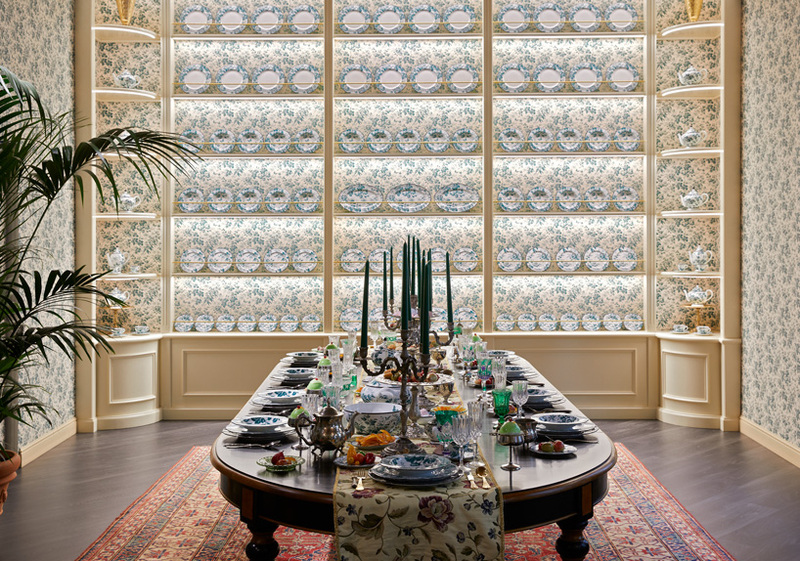 gucci is so committed in fact, that it acquired historic porcelain manufacturer richard ginori, breathing new life into the company after it folded due to economic problems in 2013. founded in 1735, the newly revived company – which was under the artistic direction of gio ponti from 1923 to 1933 – now makes all the porcelain used in the gucci collection. 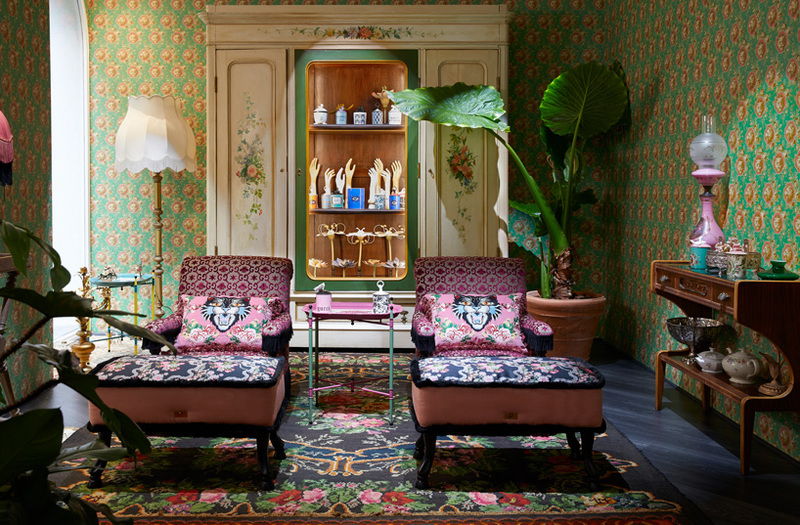 the gucci décor store will be open through june. 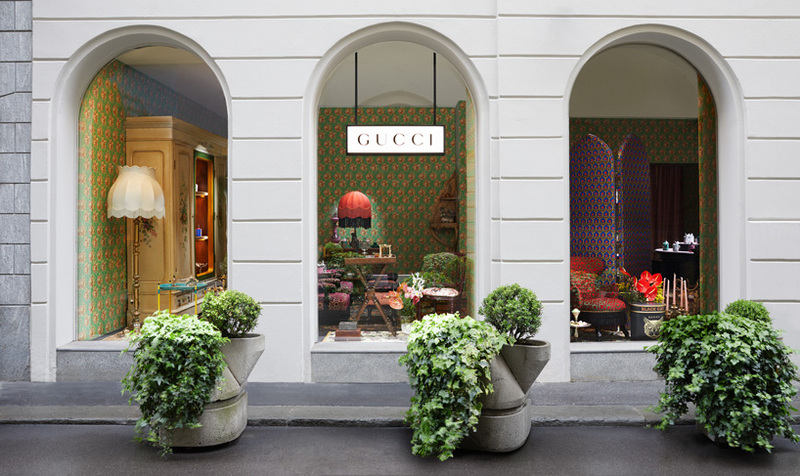 meanwhile, gucci has also created an augmented reality app where users can explore historic places across milan while different décor pieces are shown on screen as virtual oversized sculptures. locations include piazza del duomo and piazza affari, which are also outlined in an ‘underground style map’ available at the store. 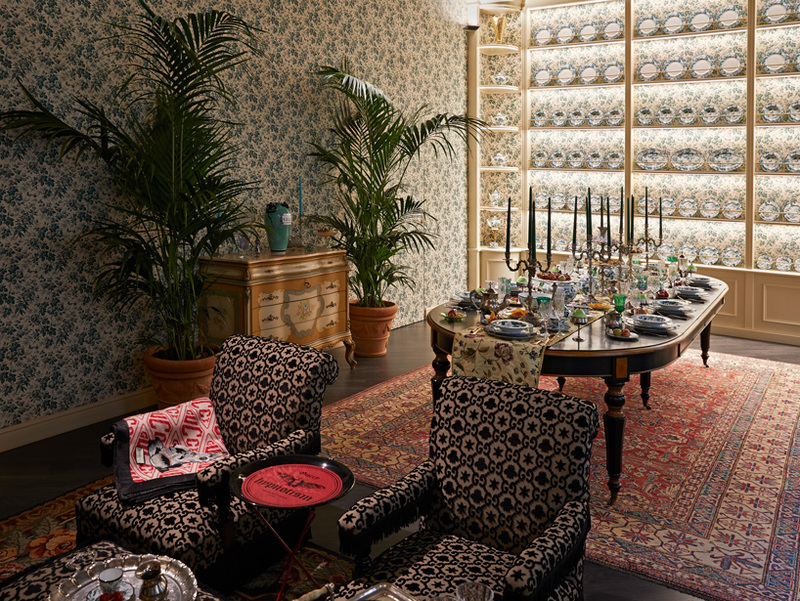 users can also try out different pieces using the app to virtually place the items in their own home.